8th June 1815, a small village south of Brussels saw a confrontation that was the culmination of 15 years of warfare where Napoleon Bonaparte, Emperor of France in one last desperate battle to defeat the Coalition ranged against him was finally defeated. The concert given by the Christchurch Band of the Royal British Legion will mark the 200th Anniversary of the Battle with a musical tribute befitting such a milestone. Marches, film music and a pipers lament will lead us towards the spectacular finale, Wellington’s Victory with stage pyrotechnics and cavalry trumpets. 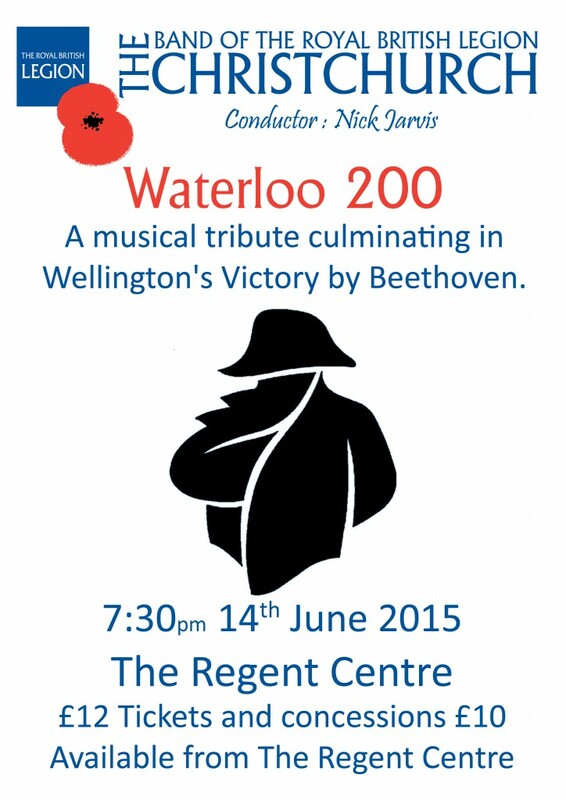 Tickets avaliable from the Regent Centre.